With the River Ise passing through the east of town, Kettering is located in the East Midlands county of Northamptonshire. The town has an expanding population of almost 70,000, and can be considered a viable option among commuters to London. At My Home Move Conveyancing we have been improving our understanding of local property markets in areas like Kettering since 2002, which allows us to offer our clients a specialist, fixed fee conveyancing service. When considering the sale or purchase of property in Kettering, you must instruct a lawyer to carry out the legal work on your behalf. 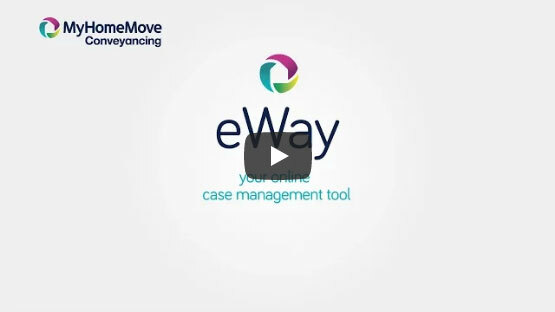 At My Home Move Conveyancing we offer our clients in the Kettering area an award winning level of customer service, an innovative use of technology and intimate knowledge of the local market. Our fixed fee conveyancing service comes with no hidden extra costs to worry about, meaning you can budget for exactly how much you’re going to pay from the outset when you choose us to be your Kettering conveyancers. If you don’t end up moving, you won’t have to pay us a thing in legal fees. We will assign you a dedicated conveyancer who will take care of all aspects of your case from start to finish, providing you with a consistent point of contact and regular progress updates. We supply our conveyancing services in Kettering to homebuyers looking for a variety of properties, from the modern new-builds that are most prevalent to moderately priced flats, terraces and conversions. The average house price in Northamptonshire is £159,696, while in Kettering during the past year the overall average sale price was £168,824. Terraced and semi-detached properties sold in similar numbers, going for an average of £125,175 and £155,618 respectively. Detached properties also sold well, for an average price of £260,189, while flats fetched £103,091. Kettering is a town with a long history that encompasses Roman and Saxon occupation and inclusion in the 1086 Doomsday Book with a value of £11. During the 19th century, Kettering experienced growth with the burgeoning boot and shoe industry, while the modern town boasts plenty of amenities and a low rate of unemployment. Kettering lies approximately 80 miles outside of London, and the number of commuters in town is growing thanks to the fast rail links and affordable housing. A train to the capital city’s St Pancras station takes a touch under an hour, and there are plenty of morning services to cater for commuters. Kettering is linked to the national motorway network by the A14 road which heads to the M1 and M6 to the west, and to the A1(M) which is found to the east of town. London Luton Airport is around 50 miles away, with direct rail links, while Heathrow, Stansted, East Midland and Birmingham are all within two hours’ drive. There are some excellent schools in the area for families with children to consider, including Hall Meadow, Brigstock Latham’s CofE, Great Addington CofE and Mawsley at primary level. Secondary options include Bishop Stopford School, Southfield School for Girls and Montsaye Academy in Rothwell. Kettering also plays host to a campus of the Tresham College of Further and Higher Education. All properties in Kettering will fall within one of the following council tax bands.